Fabric Factory Outlet | Meet With A Fabric Expert! 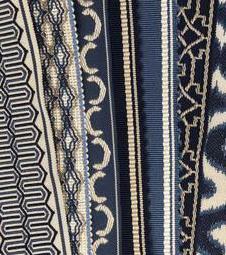 Selecting the right fabric for homeowners and designers can be overwhelming. Make an appointment and we'll show you all the endless possiblities. 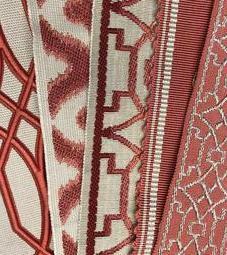 You can choose the fabric you need and order your custom drapes and upholstery all at the same time. Many new home owners are now looking for more contemporary understated fabrics and highlighting them with tape or trim. 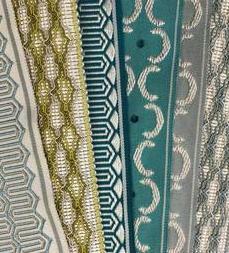 They can be applied to not only your drapery, but roman shades, pillows, bedding and upholstery. 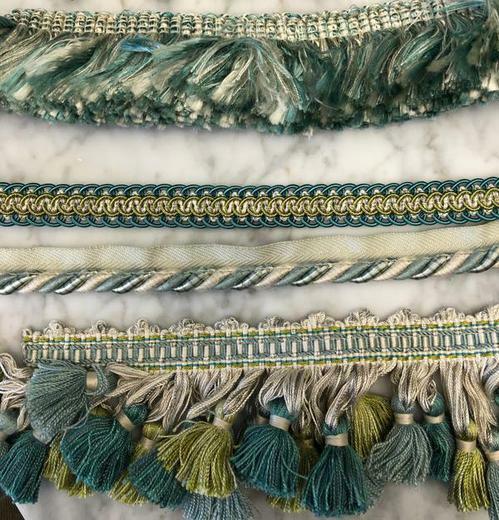 "Decorative trim & tassels give your furnishings that one of a kind look." 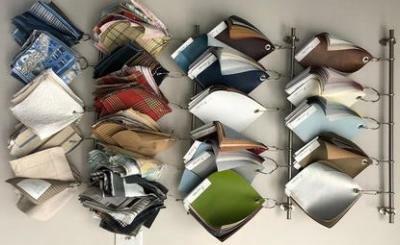 All our books and samples are color coded and organized for customers to easily view in a relax atmosphere. We know we did our job when customers are excited about purchasing something that they never would have expected.